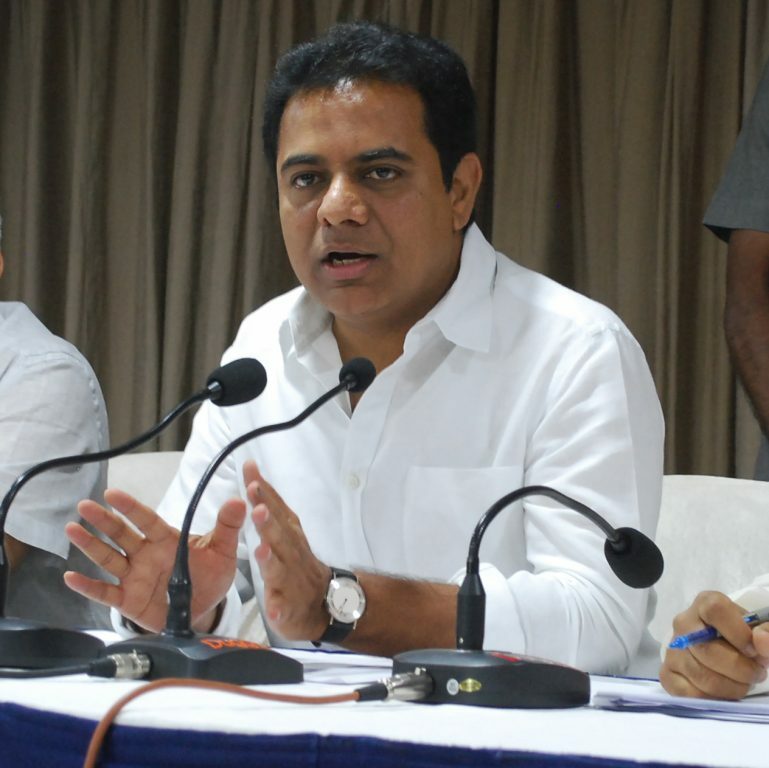 1,545 polluting industries to be shifted beyond the Outer Ring Road by 2017 end, says KTR. File photo: IT Minister KT Rama Rao. Hyderabad: The State government in an effort to curb pollution and promote clean air is planning to establish Hyderabad Clean Air Authority. Replying to a question by MIM Floor Leader Akbaruddin Owaisi, the Minister admitted that air, water and noise pollution were on the rise in Greater Hyderabad Municipal Corporation limits. He, however, made it clear that Hyderabad was far better in terms of Air Quality Index (AQI) when compared to other leading cities in the country. Explaining the measures initiated by the State government, the Minister said that 1,545 polluting industries had been identified in the city, and after issuing notices to them, they would be shifted beyond the Outer Ring Road by 2017 end. “Already, 19 locations have been identified to accommodate these industries,” he said. On water pollution, Rao said that discharge of untreated sewage was one of the main factors for water contamination. Of the 1,400 MLD generated in the city, only 50 per cent was treated. To avoid this, sewerage treatment plants were being established besides taking other measures like diversion of nalas, he said. He also said that a special meeting would be convened involving legislators from Hyderabad to discuss measures to control air, water and noise pollution. Replying to a question on plans to set up a leather park in Warangal, Rao said that the government had already identified 117 acres of land in Station Ghanpur and the Detailed Project Report was sent to the Central government. The project cost was estimated at Rs 270 crore and a request had been made to the Central government to sanction the same. Financial aid of Rs 105 crore under Indian Leather Development Programme was also sought. Central government’s approval was being awaited, he added.